Hayle is a beautiful coastal village nestled comfortably between St Ives and Gwithian just off of the A30. It would be easy to drive through and miss all together if you were on your way to St Ives or Penzance but you mustn't miss this place and the surrounding area. There are some fine coastal walks, beaches and local businesses to wet even the most discerning travellers appetite. Hayle is situated at the mouth of the Hayle river which runs into St Ives Bay on Cornwall's beautiful Atlantic Coast. 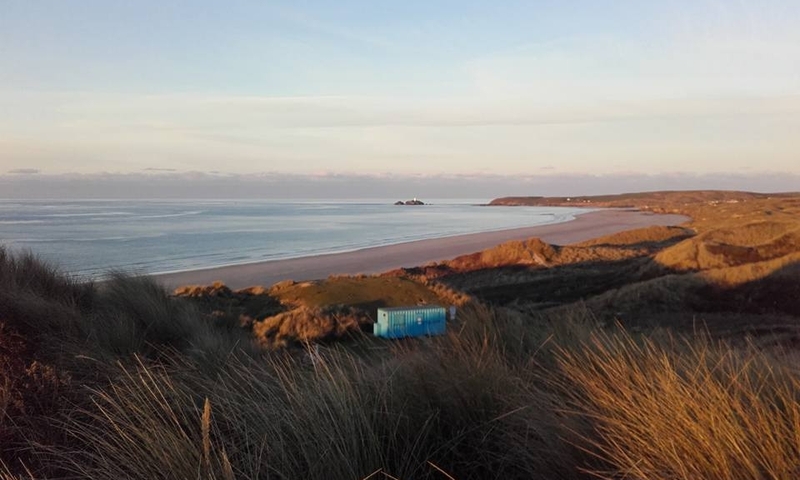 There are four miles of golden sandy beaches to be enjoyed which start at the mouth of the estuary; Hayle Towans is a beach that rarely gets crowded and is ideal for sand yachts and kite buggies. Next is Gwithian Towans which is a popular surfing beach that has quality waves suitable for all surfing abilities. At low tide large areas of rock pools and caves are uncovered which is great to explore and enjoy for all the family. Hayle's beaches end at Godrevy point where Godrevey lighthouse stands on an island about 50 metres out to sea. The area is also regarded as an international quality bird-watching spot. 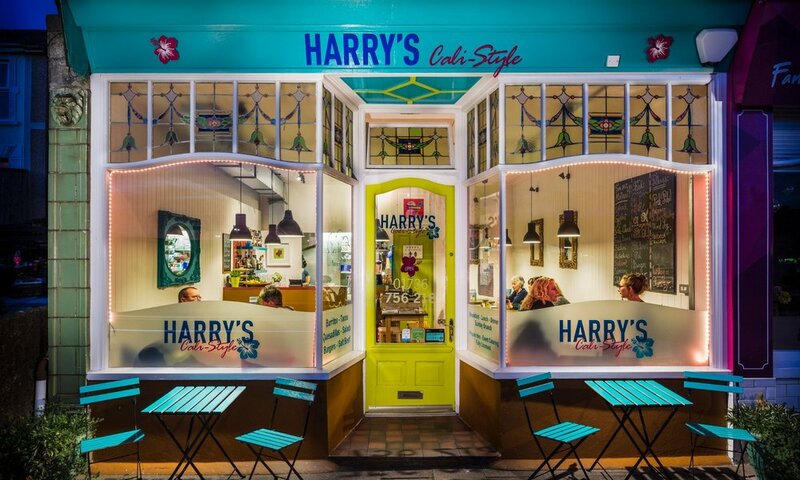 The area can easily be explored on foot or by bike and don’t forget to stop off at one of the many quality independent businesses for a bite to eat or a spot of local shopping. Learn to surf on the beautiful beach at Gwithian with one of the longest running and most highly regarded surf schools in Cornwall. An amazing experience in Cornwall’s world famous surf. All equipment is provided free of charge during your lesson and surfboard & wetsuit hire is also available so you can surf all day if you want to. Shore Surf School is a Surfing GB/ISA Surfing Centre of Excellence and the most established in the area. Lessons and courses for all abilities run daily from both their beach side locations. SUP lessons and water sports rental are also available. Enthusiastic and friendly mountain, road and BMX specialists offering all types of repair in their shop packed full with interesting bikes, parts and accessories. Rent a bike, tandem or a beach worthy fat bike and explore the scenery carefree! 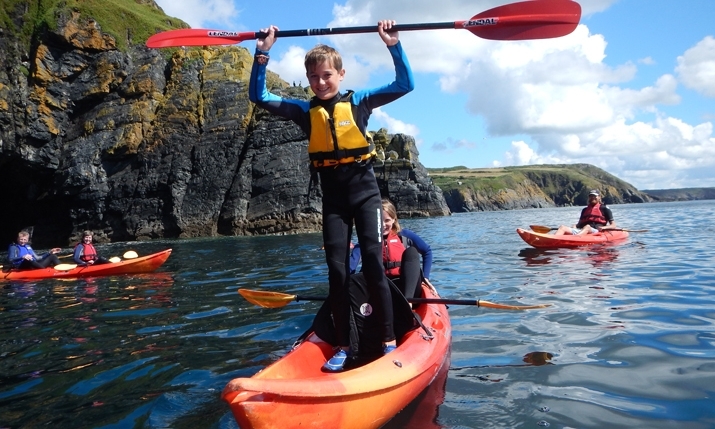 Explore Cornwall by kayak, paddle board, coasteering or climbing. Immerse yourself in nature and re-connect with your natural environment. Suitable for all abilities aged 8 upwards. Bespoke packages designed for families, school groups, team building events and individuals. Wonderful container cafe nestled in the dunes, overlooking 3 miles of golden sand. Access to amazing surf spots and the only dog friendly beach during the summer months! Organic coffee, gourmet burgers, wraps, weekend specials, delicious homemade cakes & Roskilly's organic ice cream. Sunset Surf is a beachside cafe & licensed bar, with a surf shop, surf hire & surf school. 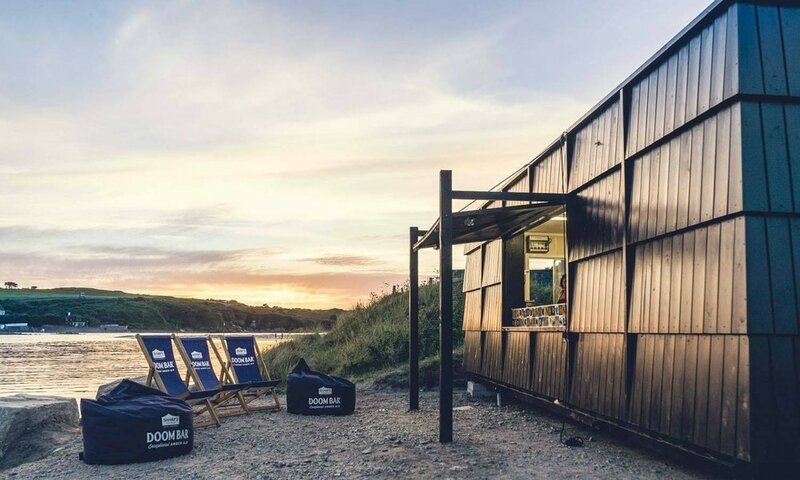 Set in the beautiful Gwithian Towans overlooking St Ives Bay, they have everything you need for a great day at the beach... Just Add Waves! Overlooking the whole of St Ives bay, this listed, historic coastguard lookout now serves as a cafe serving their famous cakes plus a shop to grab all your groceries & beach goods. Fantastic California style restaurant that’s heavy on the Mexican. Fresh fish tacos, ground steak burgers and fresh cut fries and specials. All homemade with a passion for food! Great selection of Tequila, Mexican beer, cocktails and California wine. Book for Taco Tuesdays! Chandlers Plaice is a quality family run fish and chippy serving freshly cooked traditional fish & chips; Cod, Haddock, Plaice and Scampi. Also serving Pies, Chicken and Burgers. As an alternative to crispy battered fish, why not try their famous steamed cod with a wedge of lemon? A family run business with over 50 years experience in the bakery industry. With outlets in Hayle, Praze-an-Beeble and Marazion their long queues are the testament to their popularity. 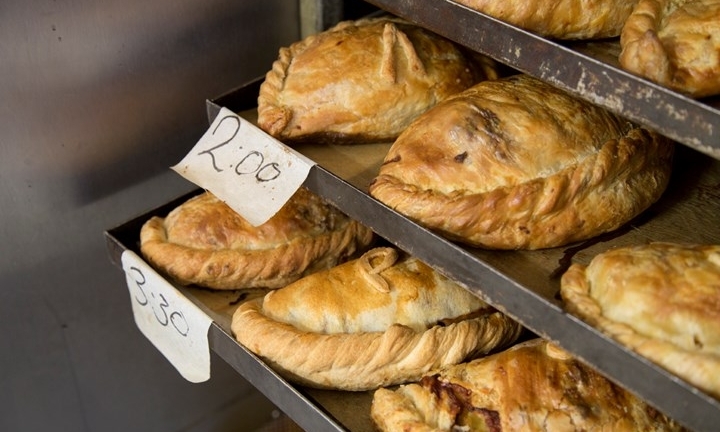 Trading since 1966, Hampsons family butchers still boast the same passion for providing Hayle with fine quality local meat, homemade pasties, pies and much more. ....And lifestyle store! Delicious homemade cakes, fairtrade coffee and cold drinks. Beautiful handmade French linen garments and accessories, Merchant & Mills sewing requisites, homeware and more. Fabulous local cafe serving freshly made breakfasts, lunches, cakes & coffees. With daily specials and a menu full of regulars' favourites! A modern continental style bistro in the heart of Hayle. Offers fresh seafood, steaks, burgers, ribs, vegetarian and more, with an extensive drinks and cocktail list. Kitchen open 9.30am to 9pm every day! Fully licensed seaside cafe serving fresh fish and dishes from around the world depending on the chef's mood and what is landed that day. A fluid and ever changing food experience often accompanied by DJs and Live music. Stunning working harbour location. Dog friendly beach all year round. Eat in or takeaway at this Traditional fish and chip shop with all the trimmings. Range of starters, other mains including veggie options and glorious puddings. Good wine and beer selection also available. Childrens menu and high chairs available. 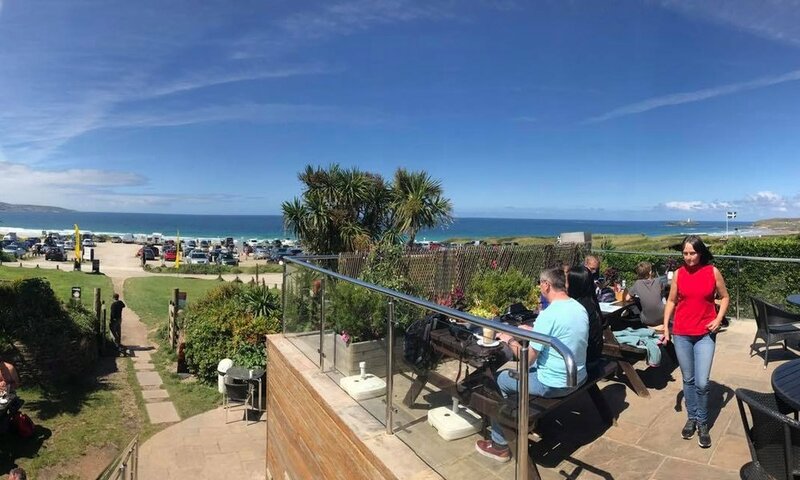 Lovely beach café tucked away on the coastal path with outside seating boasting breath-taking views across St Ives Bay. Serving fresh Cornish Coffee, breakfasts, lunches, local cream teas and an unrivalled selection of Roskilly’s ice cream! The Terrace is a contemporary Pizzeria and Brasserie with a Mediterranean feel-serving fresh fish, meats, pizza, pasta, vegetarian and vegan dishes. There’s a covered waterside terrace for alfresco dining. The local restaurant for all people. Nelly’s brand new kitchen serving breakfast, lunch, homemade cakes and barista coffee with a delivery service offered to local businesses. The UK’s premier stockist of surfboards for all abilities from the complete beginner to the experienced surfer. They’ll get you in the water with their comprehensive range of wetsuits & surfing accessories fitted by friendly, knowledgeable and experienced staff. Surfboard, bodyboard & wetsuit hire available throughout the year. Enjoy a warm welcome in this traditional, family run toy shop. Offering a wide range of toys including, Lego, Airfix, Sylvanian families, Playmobil, Kites, Beach Goods, Puzzles, Soft Toys, Classic games and much more! Your local nursery with a huge range of beautiful plants all grown on site. Large stocks of Alpines, Bedding, Camellias, Cornish Palms, Exotics, Ferns, Grasses, Herbs, Patio Plants, Perennials, Shrubs, Trees and Succulents. Helpful, friendly advice! Follow signs from Lidl. Free parking. Dogs welcome! Ula is a bit of fashion heaven with carefully selected brands (Joules, Inwear, Part two & Cornish brands) putting this boutique on the fashion "must see" map: Stylish casual daytime, evening and outdoor wear - coats and wellies, flip flops and t-shirts. A perfect holiday treat. Fresh and contemporary handmade Sterling Silver Jewellery with Splashes of colour from real semi precious gemstones. Fine Art & Antiques. Collectables & Vintage Items. Antiquarian Books. Picture Framing Jewellery, Silver, Ceramics, Fabrics, Furniture & much more. A creative studio shop stocking a fabulous selection of handcrafted gifts, fabric, haberdashery, yarn & crafty bits. Sewing machine services and repairs available. Bespoke childrens birthday parties arranged upon request.